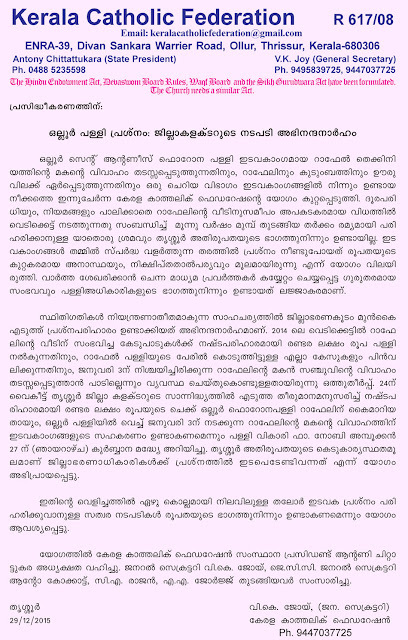 Ollur St. Antonys Forane Church (under Thrissur Diocese) authorities handed over the Cheque for Rs.2,50,000 for the damage of Rapheal Thekkiniath's residence due to the fire -works display in 2014. Parish Vicar Fr. 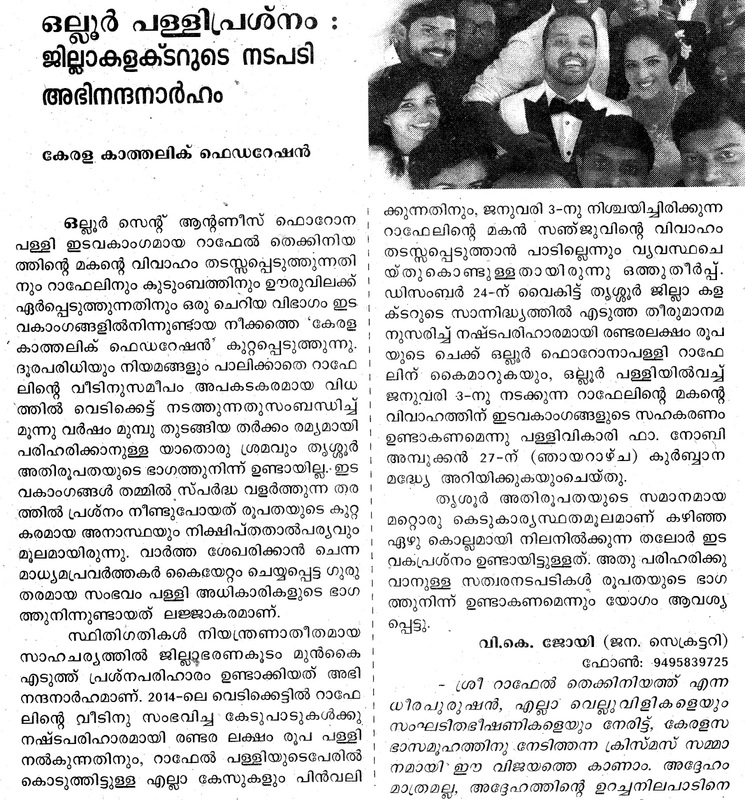 Noby Ambookkan announced this during the Sunday Mass on 27th December. 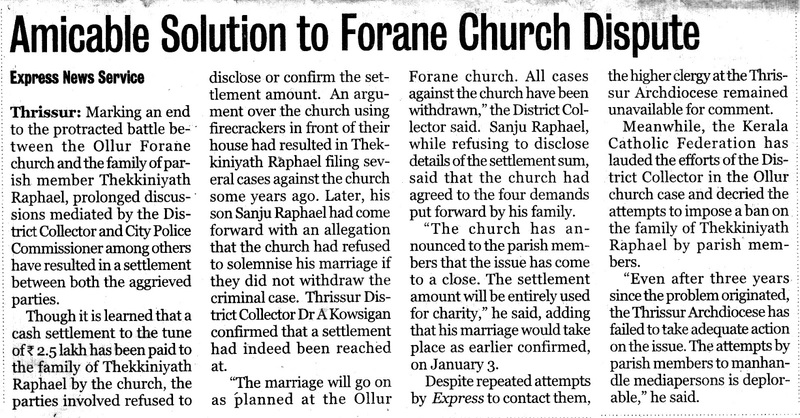 The dispute between the authorities of the Ollur St Antony's Forane Church near here, and a member of the parish over the conduct of the marriage of his son was settled following the mediation by the district collector A S Kowsigan. 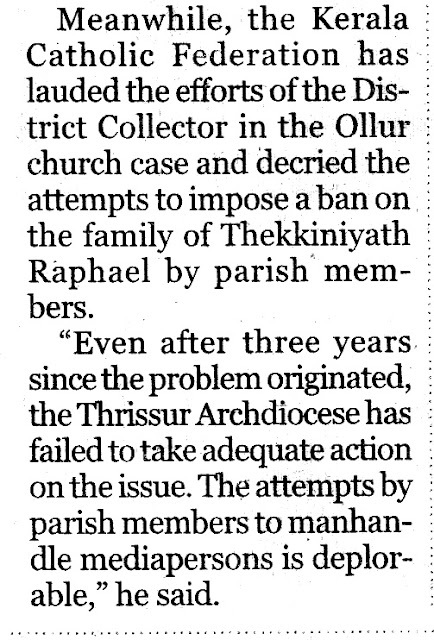 The parish member Thekkiniyath Raphael had alleged that a section of the parish council members were trying to block his son's wedding as he had filed a case earlier against the church for legal violations during the fire-works display held as part of the church festival. 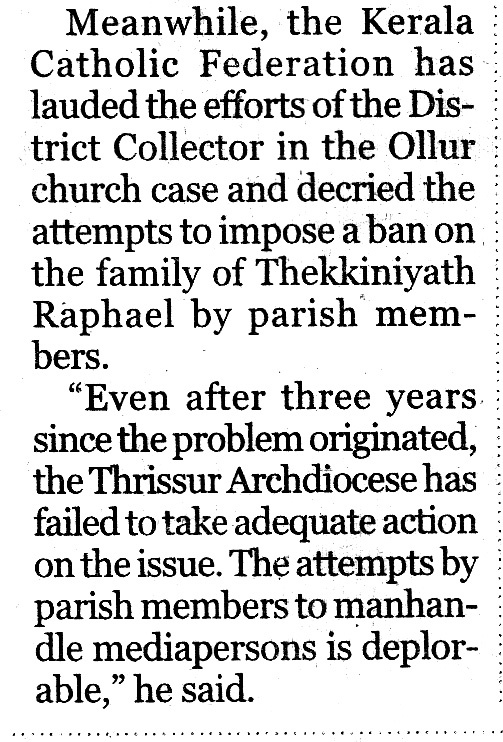 Some parish council members had organised a demonstration earlier demanding that Raphael's son's marriage should not be solemnized at the church as he had field a case against the church. Two members of a TV crew who had come to the church to cover the developments were assaulted couple of days ago. 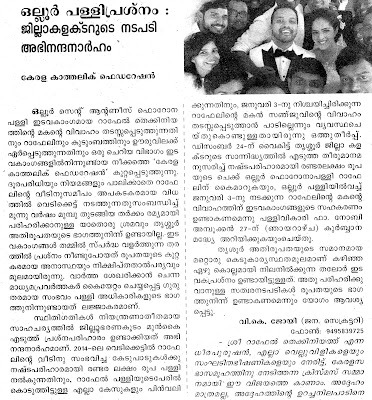 However during the negotiations, the church authorities agreed to pay compensation of Rs 2.5 lakh to Raphael for the damge caused to his house during the fireworks display and also not to create any obstruction during the wedding. 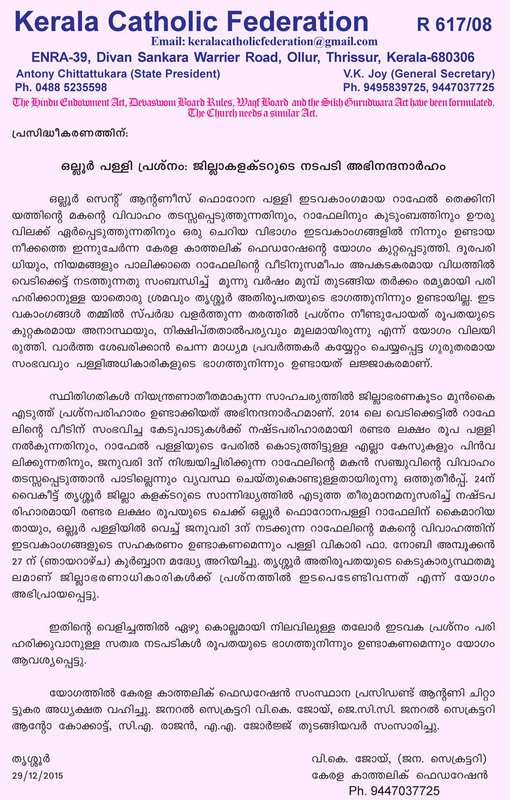 Raphael on his part agreed to withdraw the case.